The dawn of a new year always opens up new horizons for companies and organizations, with communication one of the cornerstones in helping make that happen. 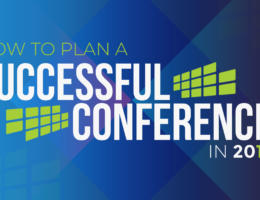 The role of annual conferences and other similar get-togethers are among the most popular examples of this approach, so it makes sense in 2018 to make sure the planning that goes into these events is done right. While the visual of a ballroom filled with people looks nice, there are plenty of conferences that get along just fine in more intimate surroundings. Having a sense of the likely audience helps avoid the embarrassment of a half-filled room or one where complaints are rampant because of cramped seating arrangements. The focal point of most conferences are listening to relevant speakers imparting their wisdom about a particular topic. Such remarks can be more aesthetically pleasing against a backdrop that takes such things as on-stage dressing, like drapes, into account. These concerns can also involve having podiums in place or tables for panel discussions. However, working with a company that provides AV services will likely override the above matters. The simple reason is that without taking advantage of the experience an AV company can provide, you run the risk of being left with speakers that can’t be heard, slide shows or videos that can’t be seen and, in some cases, faulty lighting that gives off an amateurish vibe to an audience. Usually, the value of using a company that’s well-versed in AV productions only comes through after a conference has been marred by using audio equipment that can’t be trusted to work consistently. Even worse is having a microphone that simply doesn’t work, which is cause for anger by those on and off stage. Without the work of an AV company that can adapt to wherever a conference is being held, you may end up being a hostage to poor acoustics. Addressing this subtle, yet important, factor is something that’s integral when it comes to the providing of quality AV services. When many people think of AV productions, they may focus on the video aspects. This is an increasingly important aspect, with advancements like live streaming and large screen presentations for huge gatherings concerns that need to be taken into consideration. Among the innovations that have enhanced the role of video at conferences is the idea of video mapping. That’s because areas that were once simple walls can be transformed into awe-inspiring presentations through the use of both 2D and 3D technology. Lighting for the average person means simply flipping a switch. At a conference, it means knowing when to literally spotlight certain aspects that make the words being uttered that much more riveting. Handing off this job to a company that lacks either the equipment or skills to pull it off can result in emotions that range from mere annoyance to anger over an unprodessional presentation. Showtech Productions is an AV company that provides quality AV services to its customers, which means that they can handle the nuts and bolts of these important needs. Entrusting AV productions to anyone else can be risky, so contact us today to make your next conference is a rousing success. Just call us at 972-988-0033 or fill out our online form.